The technique of 3D measuring increasingly plays a key role in system and plant construction. Only this method guarantees exact installation, precise adjustment, as well as an efficient control of the geometry of different elements of the system or plant (+/–0. 1mm). GLM Lasermeßtechnik GmbH has been successfully active in the field of “optical 3D measurement technology for system and plant construction” for over 20 years. We take on the role of service provider as well as supplier of 3D measuring technology for all phases of system and plant construction. The software the 3D measuring system was and is continued to be developed hand-in-hand with our customers. This deep well of experience, coupled with the most modern measuring technology, can satisfy any quality assurance. Do you have questions or wish to receive a quote, simply call or send us an e-mail. We gladly advise you. 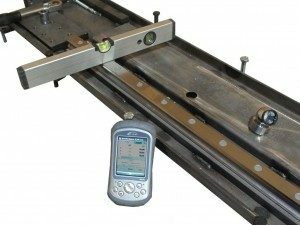 GLM Lasermeßtechnik is a service provider and supplier of 3D measurement systems for surveying and alignment of profile rails of large scale CNC machines. 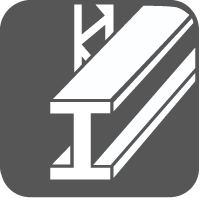 The profile rails (also called guide rails) must be exactly aligned in their geometric location (height, concurrency, etc.) since this is the basis for a precise machine coordinate system. GLM Lasermeßtechnik offers 3D metrology technology with a position and height accuracy of +/-0.25 mm (for profile rails with a length of up to 80 m). Do you have any questions or would like a quote? Simply call or send us an e-mail. We gladly assist you.